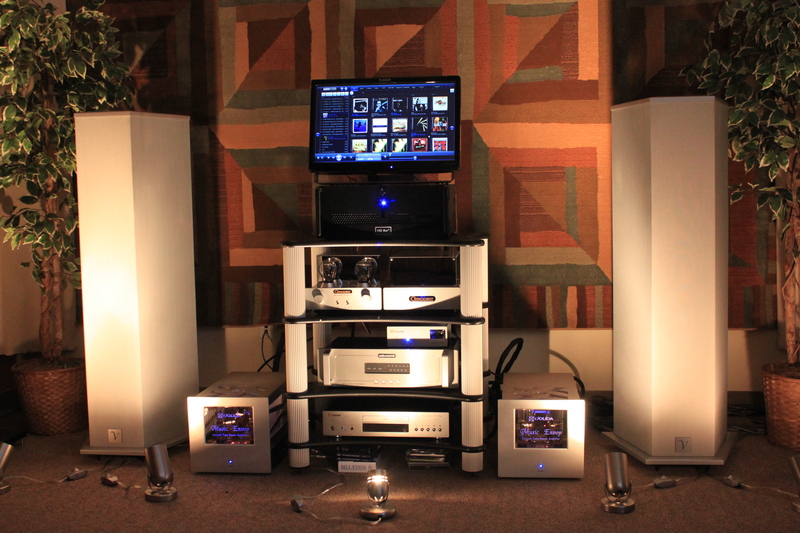 VSA Showroom: HD Ref-3 SE Install! 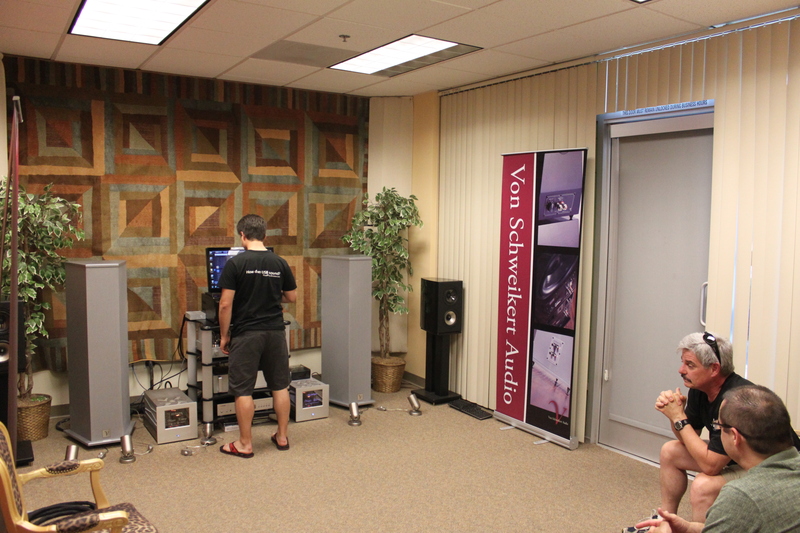 We'd like to tell our readers about a recent trip we took to the Von Schweikert Audio factory in Southern California. We were lucky enough to have some of the greatest guys in the audiophile industry (Albert and Damon Von Schweikert) allow us to take a factory tour in their beautiful new facility in Riverside, CA. Our goal was to demo our HD Ref-3 SE for Albert and Damon as well as the head of Acquisitions for the VSA team. As it turns out, the trip morphed into much more than that. What a fun and exciting experience for us! Our first impression of the VR-35's was WOW! We then hooked up our Ref-3 and our jaws dropped. HOLY TOLEDO! I think we may have surprised ourselves when we reached the conclusion that this is the best we've ever heard our Ref-3 perform. We tried several DAC's including the Jolida Glass FX Tube DAC, the Lindemann USB-DAC 24/192, and finally the Audio Research DAC8. They all sounded REALLY good but the surprise for us was the Jolida Glass FX. It really did sound good and it was the cheapest out of the three. Nice work Jolida. The Lindemann USB-DAC 24/192 sounded great but we felt it favored the high end of the frequency response and was a little too forward in its presentation. Overall, it sounded great but it didn't seem to fit in with the rest of the demo system like the Jolida did. Lastly, the Audio Research DAC8, which was the clear winner, sounded wonderful. It gave us all the detail of the Lindemann with the perfect laid back sound of the tubed Jolida Glass FX. What else can we say, the DAC8 impressed us to say the very least! Now on to the point of the trip, the HD Ref-3. Several of Albert's and Damon's favorite discs (redbook) were ripped and a plethora of Hi-Res FLAC's were played to evaluate the Ref-3. After many hours of listening and tweaking, we at YFS felt the Ref-3 was a great addition to the VSA listening room. Apparently so did Albert and Damon. They decided to keep the Ref-3 and they weren't going to look back! Check out their VSA Facebook page for more information on the HD Ref-3 SE. Finally, we want to thank Albert and Damon as well as the head of VSA Acquisitions for allowing us to take time out of their day to show them our latest computer music server. It means a lot to us and we feel very greatful to be a part of such a special group. And by the way Damon, lunch was awesome! THANKS VSA! We wanted to let our readers in on some major work we've undertaken lately. We love our HD Ref-2 music server transport but we knew we wanted to beef up our processing power while maintaining near silent operation. We figured there had to be a way to get our Ref-2 practically silent. It's been a long road but we've made it, finally. The older Ref-2 designs were based on 6-core processing, a 1 TB disc drive, 16 GB of RAM, a Blu-Ray ROM, and a basic DVI/ HDMI/ D-SUB PCI video card. We housed the Ref-2 in an industrial, rack-mountable, lockable steel chassis. We added the SOtM USB PCI card option for the Special Edition and the SSD models. The NEW Ref-3 model employs 6-core processing, a 512 GB SSD drive, 32 GB of RAM, the same video card, the same chassis as the Ref-2, the SOtM USB PCI card, and an external power supply for the SOtM card. 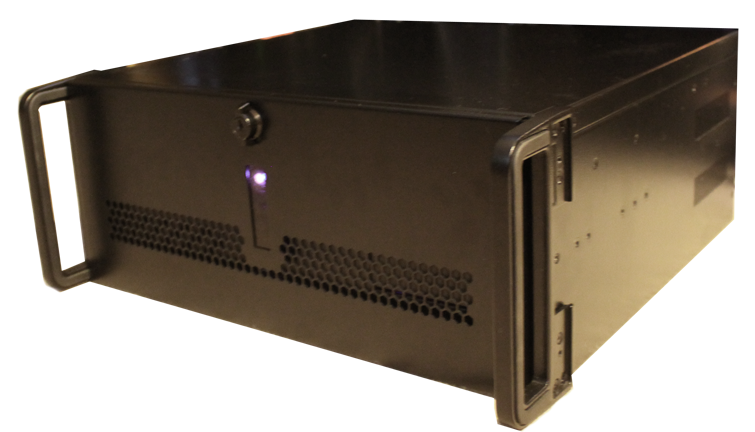 We also offer a RAID option that can bring the SSD storage up to 1 TB if desired. The major benefit of the Ref-3 over our previous models is the nearly inaudible operation as well as more RAM, more SSD storage, and an external power supply for the SOtM USB card. We decided to come up with two models for the Ref-3 and discontinue our Ref-2. We now offer a YFS HD Ref-3 Base Model and a YFS HD Ref-3 Special Edition. The 'Base Model' and the 'Special Edition' are exactly the same server but the 'Base Model' is missing the SOtM USB PCI card as well as the external power supply for the SOtM USB card. It also only employs 16 GB of RAM instead of 32 GB. The 'Special Edition' contains the SOtM USB PCI Card as well as the power supply to go with it. Both units offer the same 512 GB SSD storage drive. Remember, our servers are completely custom so you can get as much SSD storage as you want. We'll charge you accordingly for the extra storage space. Our server is the only currently available dedicated music server transport on the market that packs all of the above options in a semi-affordable package. We haven't been able to find an external power supply option for the SOtM card let alone a server that could easily integrate one so we decided to do it ourselves and push the computer audio envelope. Just plug our non-switching power supply into the rear of the unit in order to separately power the SOtM USB card. You don't have to take the cover off to unplug the power supply when you want to move both units. VERY HANDY. We have accomplished all of this at under $13,000. Simply AMAZING!!! We do use fans in our latest design because with all the processing power we provide, there's no way to cool our servers without them. Don't worry, they're not audible during normal operation. Don't get caught up in the mini-ATX motherboard craze to get a fan-less server. If that's your goal, just buy a high-end SSD laptop and you'll get better performance than the competition's currently available music servers. The other guys claim their designs are "silent" and "fan-less". You CAN achieve one without the other. We don't think many folks realize this. Our competitors' "silent" designs are not truly silent. Why don't these server manufacturers tell you what SPL their products are running at? Because if they did, you'd realize they're not really silent at all. We aren't afraid to test our operating SPL's. In fact, you can see into our design with the cover on as we have implemented an open top and we're not hiding anything from anybody. We don't have to. Our control options for the Ref-3 are the same as the Ref-2. The Ref-1 needed a keyboard, monitor, and mouse to operate. The Ref-3 is fully operational with ONLY A TABLET/ LAPTOP/ PHONE! The user doesn't need to plug anything in to the Ref-3 to get it up and running and fully operational except an ethernet cable. Choose your favorite tablet/ laptop, power on the Ref-3, wait 45 seconds, and then start controlling your new Ref-3 server anywhere your local network allows. VERY COOL! Check out the video clip below to catch a glimpse of how our users can control their YFS HD Ref-3 music servers. We think you'll enjoy using the most powerful, user friendly music server the audiophile world has to offer. It's only a matter of time until the other guys are scrambling to catch up. Contact us with questions. We're here to help! Remember, the Ref-3 is totally custom designed to your specs. If you want some features taken away or added, it's your call! We can make it exactly the way you want it. No problem! We offer a full in-home install for an additional fee. Contact us for details. The entire install is done in under 2 hours. This service is only available in the contiguous United States. We can provide install support over the phone/ e-mail for any other location. Our products are available in 110V-120V as well as 220V-240V. Just let us know where you need your YFS server to operate and we'll take care of it! We can now ship a fully functional Ref-3 via UPS to the lower 48 (contiguous United States)!!! Check out our YFS audiophile music servers and USB cables in our online store here. We offer package deals on our YFS USB cables if you plan on buying a server too. Click here for a review of the HD Ref-3 SE from some really great guys in the industry. Check out what they have to say so you can take their word instead of ours on how the Ref-3 stacks up against the competition! THANKS for your interest in YFS products! So we wanted to let our readers in on some major work we've been doing lately. We were pretty excited about our HD Ref-1 music server. After all, it's the most powerful music server available, ANYWHERE. Well, we decided that wasn't good enough so we started designing its more mature, more refined sibling, the HD Ref-2. We believe we have made the world's best digital source even better. The older Ref-1 design was based on quad-core processing, a 1 TB drive, 4 GB of RAM, a D VD ROM, and a basic DVI/ HDMI/ D-SUB PCI video card. 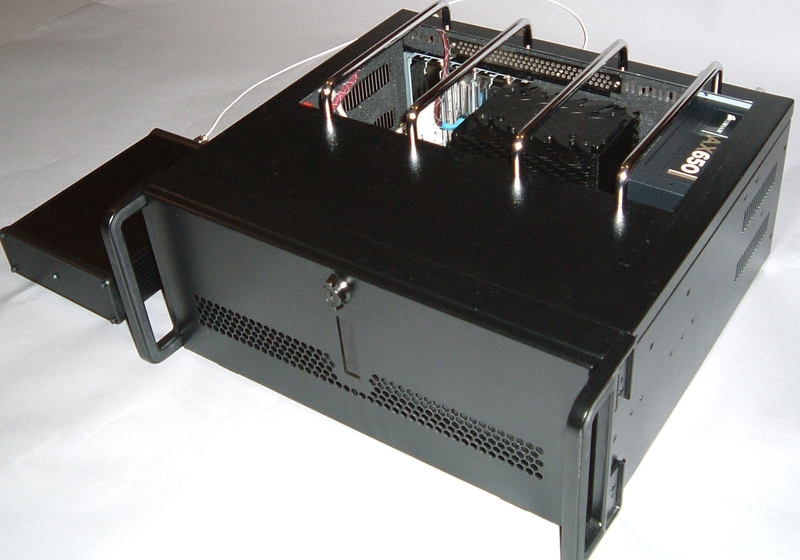 We housed the Ref-1 in an industrial, rack-mountable, lockable steel chassis. The NEW Ref-2 base model employs 6-core processing, a 2 TB hard disc, 8 GB of RAM, the same video card, and the same chassis as the Ref-1. The user can upgrade the RAM to 16 GB, the DVD ROM drive to Blu-Ray, and the hard drive space to 3 TB if desired. That upgrade option is referred to as the Ref-2 SE or Special Edition. 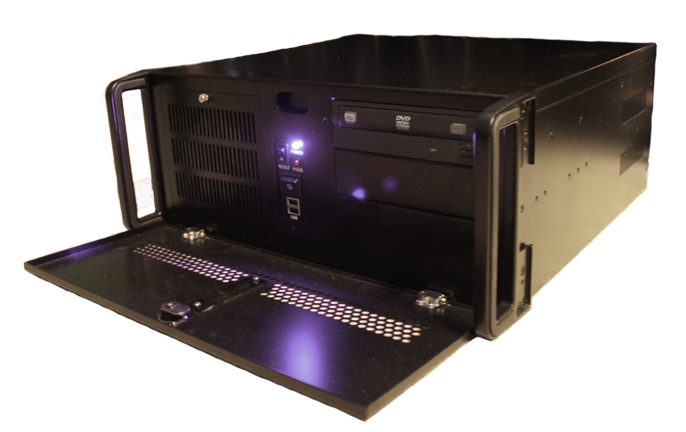 This upgraded model also employs a PCI digital audio output card of the user's choice. The standard audio output option is the SOtM USB 2.0 card. The Lynx AES 16 is also available with digital XLR output for $500 over our SE listed price. We can also add analog L and R outputs if the user prefers not to use a DAC. 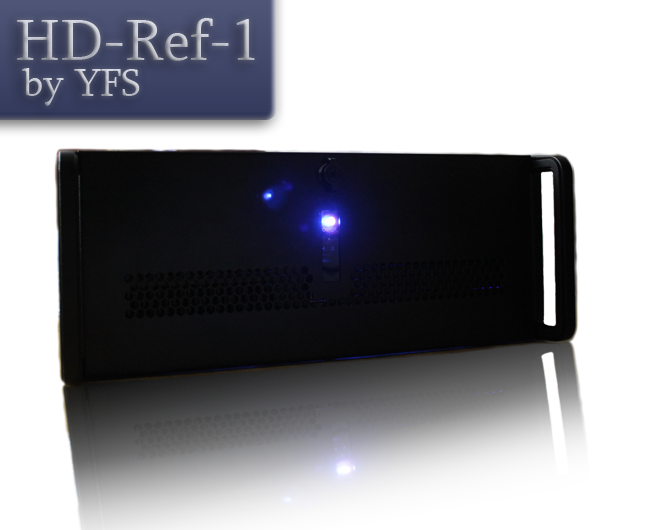 (We don't recommend this based on grounding issues) We have also included our newest spin on the original YFS HD Ref-2 that we call the Ref-2 SSD. It employs a solid state drive and we omit the standard hard disc all together. This keeps our operating SPL's even lower than the Ref-2 SE! It has all the same specs as the Special Edition model but the HDD has been removed and a 480 GB SSD has been installed in its place. We like options and we assume you do too. One of the major areas we've improved upon is the operating noise levels of our original server. The Ref-1 was acceptable but we went even further and we can guarantee operation at normal conditions from 3 feet away at under 20 dB! No server is truly silent. Even with a fan-less design, the server still has to deal with added noise from the hard disc unless the design implements a solid state drive ONLY. Put your ear to a hard disc when you get a chance and tell us if it's truly silent. We think you'll be quite surprised at what you hear. Last time we checked, there are no affordable SSD's over 512 GB yet. You could pay ~ $2500 for a 1 TB SSD but we doubt ANY customers will be willing to shell out that kind of cash for a storage drive. So, for the foreseeable future, SSD's are not the answer. Did we mention the failure rate of SSD's as well? We feel they're not reliable enough or cheap enough to implement in all our designs just yet. We have implemented them in our Ref-2 SSD model based on popular demand. We didn't want to do it but apparently there's enough demand that we decided to offer it as an option. We use our own redundant hard drive system which allows the user to plug in a standard HDD that is already set up and mounted in the server in the event the SSD dies. The user must plug the power into the HDD after they remove their faulty SSD to RMA. The operating system is already installed along with all the programs and drivers your original SSD contained. You'll still have to personalize your back-up drive/ system and reload your music but it's only until we can get your SSD back up and running. We don't want our users to be without their servers while their SSD is being replaced. It's a perfect plan in case the SSD permanently goes south. We've thought it all out so you can sit back and enjoy your music. The other guys claim their designs are "silent" and "fan-less". You CAN achieve one without the other. We don't think many folks realize this. A "silent" design is not truly silent. Why don't these server manufacturers tell you what SPL their products are running at? Because if they did, you'd realize they're not really silent at all. We aren't afraid to test our operating SPL's and PUBLISH them because we've got nothing to hide. In fact, you can see into our design with the cover on as we have implemented a perforated metal top cover and we're not hiding anything from anybody. We don't have to. Another area we've improved upon is our control options for our new server. The Ref-1 needed a keyboard, monitor, and mouse to operate. The Ref-2 is fully operational with ONLY A TABLET! The user doesn't need to plug anything in to the Ref-2 to get it up and running and fully operational. Choose your favorite tablet, power on the Ref-2, wait a couple minutes, and then start controlling your new Ref-2 server anywhere your local network allows. VERY COOL! Unfortunately, we no longer offer the Ref-2 / Ref-2 SE / Ref-2 SSD. We are currently shipping the new Ref-3 replacement for the Ref-2. Check it out and our YFS audiophile USB cables in our online store here. We offer package deals on our YFS USB cables if you plan on buying a server too. Contact us for more details.